One of the most under-appreciated scenes in the Disney’s original animated version of Aladdin is the Cave of Wonders sequence. We all remember the Genie’s introduction and the arrival of the Magic Carpet (not to mention “A Whole New World”), but the cave with the freaking tiger spirit guarding it sees short shrift. Well, in the first teaser for Disney’s live-action remake of Aladdin, the Cave of Wonders takes front and center. 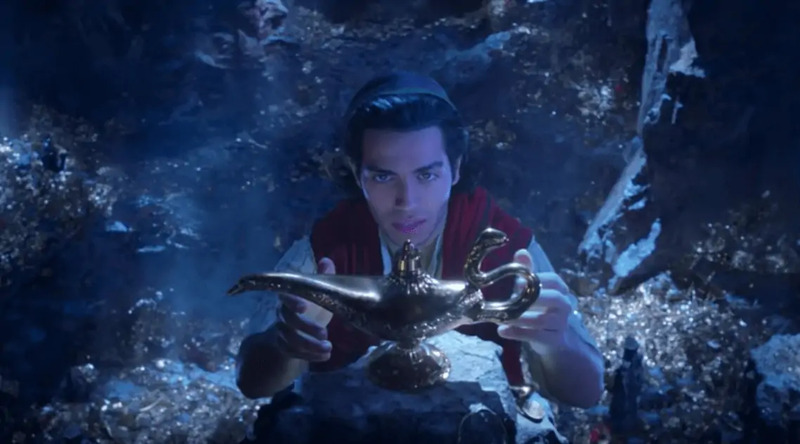 The cave issues its classic promise that only the ones whose worth lies far within—the diamond in the rough—may enter and access the riches inside, and we see a brief shot of Aladdin himself (played by Mena Massoud) as he prepares to lift the classic Genie lamp. Looks pretty awesome if you ask us, but it’s a scant teaser. We still need to see Jasmine, Jafar and Will Smith as the Genie! We’ll see all the classic characters in action when the movie comes out May 24, 2019.